Ultrason pellets can absorb moisture very rapidly and must be dried before processing. A vacuum or dry air oven operating at 130-150°C (266-302°F) is recommended. Circulating air ovens are unsuitable. Drying time is dependent on moisture level, however the materials must be dried at least 4 hours. Further information concerning safe handling procedures can be obtained from the Safety Data Sheet. 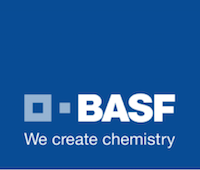 Alternatively, please contact your BASF representative. Back pressure can be utilized to provide uniform melt consistency and reduce trapped air and gas.